This is the last remaining vestige of the original iPhone OS. The static Home Screen made up of stationary icons is simultaneously a trademark of iOS and a stone around its neck. How does Apple reimagine or reinvent the Home Screen without seriously altering a piece of their prime OS’s identity? It’s not a problem I would want to have to tackle, but unfortunately, no one at Apple seems willing to, either. It looks as if Apple currently sees 3D Touch as a way to breathe new life into the Home Screen, but almost three years after its release, it still isn’t available on a large number of Apple’s mobile devices. That, combined with the fact that TouchID can be easy to miss and easy to forget keeps the iOS Home Screen at the top of every features wishlist. I think many of us Apple bloggers have given up on this possible feature at this point. The iPad Pros already come with a big price tag, so Apple adding their Taptic technology to a bigger screen would probably cost more than it would be worth. However, this also begs the question- if Apple sees 3D Touch as the future of the iOS Home Screen, what does that mean for the iPad? We may have actually gotten the beginnings of an answer yesterday. The user interface of the iPad is beginning to diverge away from the iPhone in a very obvious and meaningful way. If that continues, then the issue of no 3D Touch on the iPad could just fade away. At some point, Apple may take the Home Screens of each device category in unique and different directions. In fact, that probably makes a lot more sense in the long term. So, while this often gets mentioned as a missing feature of iOS, we may see it drop off lists like this one in the future. While 3D Touch on the iPad may not be realistic, I’m legitimately surprised that Apple didn’t make the easier move to make the iPad’s Home Button equivalent to the latest iPhones. This likely wouldn’t have been as expensive or difficult of an add, but it also isn’t a a make or break feature. The best thing about the solid state Home Button is its inherent durability, but thanks to all of the gesture and motion additions to iOS on the iPad over the last couple of versions, the Home Button doesn’t take as much wear here as to does on the iPhone. I’m on the record about my dislike of Apple’s Smart Keyboard. However, I know many users are fond of it because of its slim profile and ease of use. However, at over two years old with the release of a new and improved iPad Pro, I was thinking Apple might at least spruce the design up a bit, if not make more sweeping changes. I guess this will have to wait for next year. Thankfully, third-parties will be there to fill the void for us in the meantime. While this is a fairly impressive list, and is big improvement, Control Center still isn’t the completely customizeable solution that many have asked for over the last three years. We don’t have complete choice of the apps and settings that can be shown quite yet, and we can’t manually arrange all of the elements in Control Center yet, either. However, I don’t think we can complain too much about what we got here. Apple started down the road of making Notification Center more usable in iOS 10, but we didn’t get any real updates this year. Apple merged Notification Center and the Lock Screen, but that’s about it. While last years updates were a solid improvement, Apple is definitely behind Google when it comes to managing notifications, so this will need to be a focus again in iOS 12. We got the iMac Pro, which looks to be a wickedly bad machine, and in the best way possible. However, after Apple’s out of character mea culpa on the Mac Pro’s design and lack of updates a couple of months ago, I expected them to give a sneak peek on where they are taking the next version at WWDC. Since the iMac Pro looks like a more than adequate stop-gap until Apple is ready to show us something, I have no complaints. However, there are pro users out there who would rather go with a machine that has a modular design, and I’m sure they would like to hear something sooner, rather than later. Here is another feature that most of us probably don’t expect Apple to give us, but still shows up on a lot of feature wishlists. As a Plus user the last three years, I for one would LOVE to see split-screen multitasking come to the iPhont 7 Plus. This is another one of those features is widely available on Android, that Apple would be smart to adopt. Like Apple Pencil support for the iPhone, this is a feature that might show up when the iPhone 8 is released as an iPhone-specific power feature. Apple always holds a couple of those in reserve. Apple keeps spoon-feeding us new Watchfaces at each event, but would giving users a little freedom to create their own from the ground up be such a bad thing? If that is a bridge too far for Apple, a great compromise would be for them to open up Watchface creation to developers, and curate them in the App Store to insure that they are up to the their high standards. I think a lot of users would be very happy with this as a way to further customize their Watches. We heard rumors that this feature was coming in iOS 11, and there were also patent filings relating to the use of iMessage to send queries to Siri via text. Either or both may appear at a later date, but for now Apple has stopped short of this, adding Text to Siri as an Accessibility feature only. If the feature is turned on in the Accessibility Settings, then Siri voice queries are completely disabled in favor of a text entry box that appears when Siri is triggered. First off, I am not complaining about this Accessibility feature. In fact, kudos to Apple for their ever-present focus on making iOS a friendly environment for users with all kinds of special needs. However, I personally think that the ability to enter text queries to Siri should be an ever-present part of iOS. There are plenty of instances where voice queries are either not appropriate or not allowed. Rather than have this feature controlled by a Settings toggle, I hope Apple will fully bake this capability into iOS soon. I’m sure there are other features that also didn’t make the cut, but these are just some of the biggest. Just like an NCAA Basketball Tournament, where there are always teams on the bubble that get left out, this is just how it goes. Apple can’t do it all. However, this a great way to start talking about what we will want to see when iOS 12 comes around a year from now. 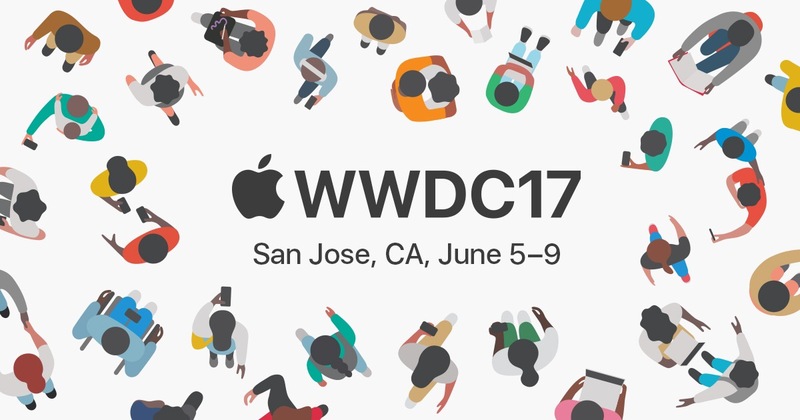 Until then, if you have a feature that was left out of this year’s WWDC, feel free to let me know in the Comments, on Flipboard, on our Facebook page, or on Twitter @iPadInsightBlog.